You'll be surprised at how extremely easy it is to get dressed this way. 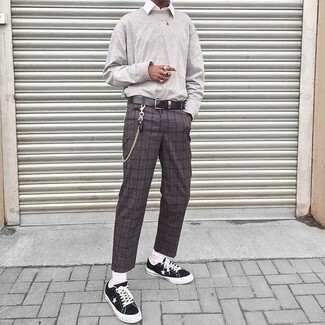 Just a grey wool double breasted blazer combined with Zanella charcoal check wool dress pants. A pair of dark brown leather double monks brings a laid-back aesthetic to the look. 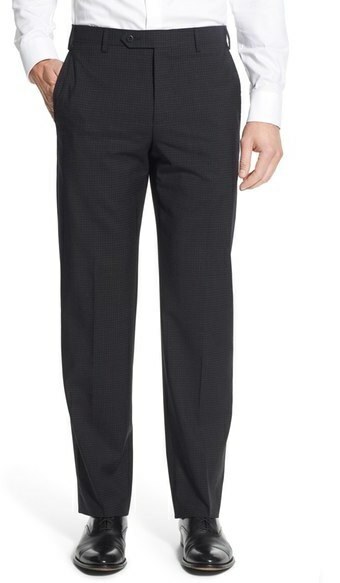 For a nothing less than incredibly stylish look, choose a black overcoat and charcoal check wool dress pants. Break up your look with more casual shoes, like this pair of black leather derby shoes. 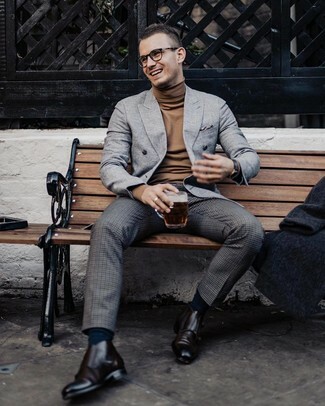 Wear a tan wool blazer and Zanella devon flat front check wool trousers from Nordstrom for a classic and refined silhouette. 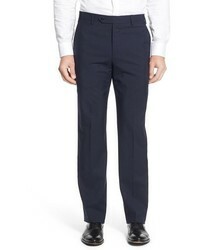 When it comes to footwear, this look is finished off really well with black leather double monks. 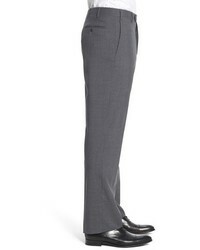 Dress in a grey wool double breasted blazer and Zanella Devon Flat Front Check Wool Trousers from Nordstrom for incredibly smart style. 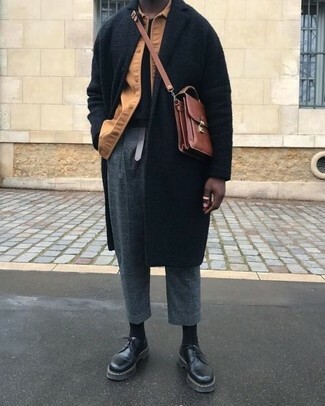 For times when this look appears all-too-perfect, tone it down by rounding off with dark brown leather double monks. 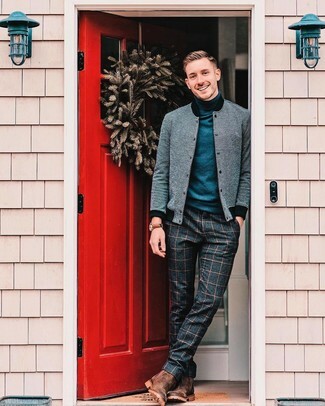 For a smart casual getup, consider wearing a grey sweatshirt and Zanella devon flat front check wool trousers from Nordstrom — these pieces go pretty good together. For something more on the daring side to complement this getup, make black canvas low top sneakers your footwear choice. 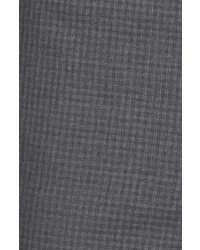 Without any doubt, you'll look truly dapper in a charcoal overcoat and Zanella charcoal check wool dress pants. Dark brown leather double monks are a welcome accompaniment for your getup. 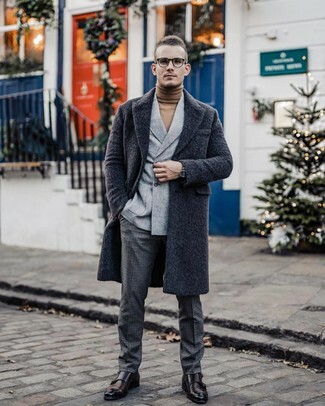 Wear a charcoal overcoat and Zanella devon flat front check wool trousers for a sharp classy look. Black canvas high top sneakers are the right shoes here to get you noticed. 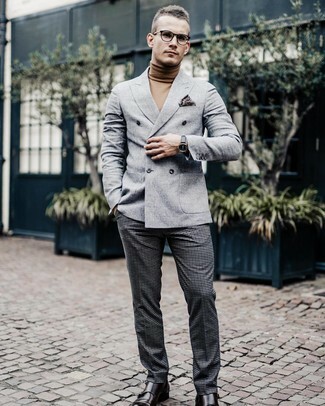 A grey bomber jacket and Zanella Devon Flat Front Check Wool Trousers are the kind of a fail-safe look that you so desperately need when you have no extra time. 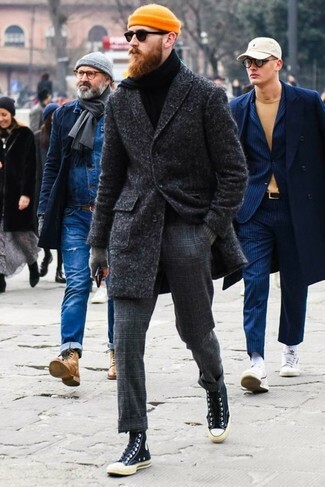 Introduce brown suede chelsea boots to the mix and you're all done and looking amazing.